Clean Well Water Report: How Can I Reduce or Eliminate Chloride in My Water? How Can I Reduce or Eliminate Chloride in My Water? My well water has a chloride level of 941.5 mg/L. What is the best way to reduce or eliminate it? It's good that you're looking into reducing the chloride level of your water: chlorides can cause serious damage when left untreated, not only to plumbing and appliances but also to people - especially those with heart problems like high blood pressure. 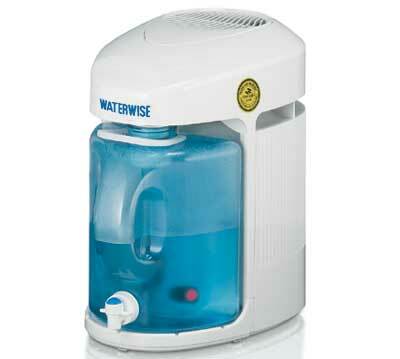 The good news is that chlorides can easily be removed from water with either a reverse osmosis system or a distiller. Distillers, on the other hand, use evaporation and condensation to separate pure, fresh water from its contaminants. The prolonged boiling process kills virtually all types of microorganisms, including bacteria, viruses and parasites. Microorganisms are not evaporated into the product water but remain in the boiling chamber as part of the residue. Distillers work very well, but use a lot of electricity. and other inorganic salts from water. Whichever system you decide to use, let us know how it goes! 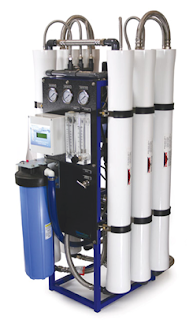 support@cleanwaterstore.com, contact us on Facebook, or use our online contact form for help with any problems regarding your water or water treatment systems.